Many people planning a luxury holiday in an exotic setting are looking for a hotel or resort other than the larger properties, somewhere that will reflect their own independence of mind, their own preferences for style and ambience, and their own needs for privacy. Our Boutique Collection is a series of distinctive properties designed to an intimate scale, imparting a residential quality. Each property within the Collection is set in a prime location, including city-centre hotels and beachfront resorts, and some are located in private estates with gardens and woodland. Villa or suite accommodation is available, depending on the property, with some offering pool or spa villas. Despite the smallness of scale, each property has at least one quality restaurant, lounge and a bar. Our guests range from individual travellers through to couples, groupings of families and friends, depending on the setting and the facilities. Many Boutique Collection hotels and resorts are perfectly designed for small gatherings and private parties and weddings utilizing the whole resort exclusively. 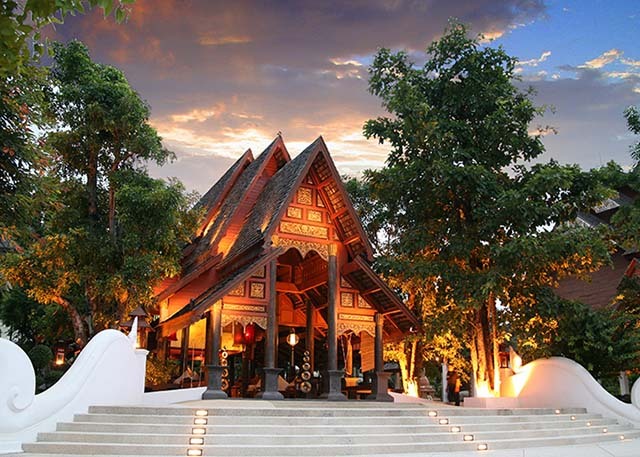 Discover Chiang Mai, Lanna style. Enjoy a relaxing getaway with Khum Phaya Resort & Spa, Centara Boutique Collection's exclusive room offers.